Prior to the PES 2015 Demo released on consoles tomorrow, WENB have uploaded a few exclusive, direct-capture PES 2015 Demo gameplay videos. Also check out their PES 2015 demo screens. If you have a console, make sure to download the PES 2015 Demo when it's released worldwide tomorrow. PC users will have to wait until Novemeber 13 for the demo. 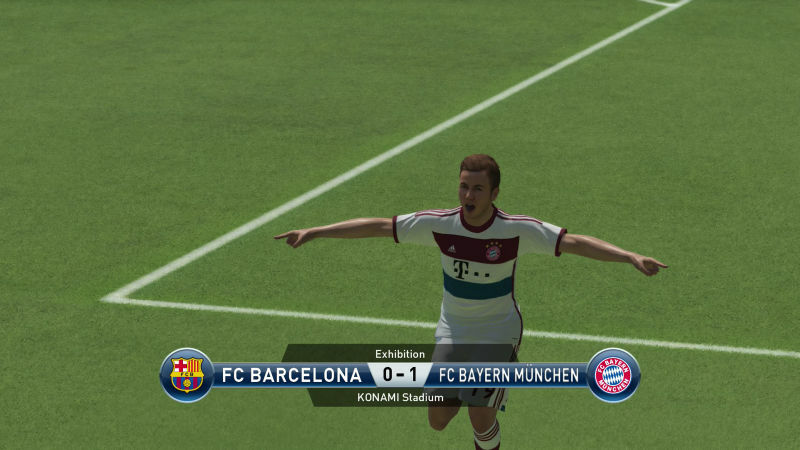 This is an HD PES 2015 demo gameplay video of Barcelona against Bayern. Check out this PES 2015 replication of last month's UEFA Champions League play-off match. The Madrid Derby is also playable in the Pro Evolution Soccer 2015 Demo. Do you like what you see in these Pro Evolution Soccer 2015 Demo videos? Can you see an improvement over the Gamescom videos? Let us know in the comments below.